This spring’s Ghost Walk characters include steamboat captains pioneering steam navigation on the Apalachicola-Chattahoochee-Flint river system; others were titans of the lumber industry including at the Cypress and Kimball Lumber Companies. They include a founding member of the Philaco Club, the Womans Federation Club responsible for the founding of the town library. Characters comprise immigrants from Northern states as well as immigrants from other countries, who came to Apalachicola to seek fortune in this small “frontier” town. One significant character, John Jenkins, was responsible for pioneering navigation on the Apalachicola and Chattahoochee Rivers up to Columbus. This commercial water transport route gave rise to the new town. He was an appointed trustee of the new town in 1827. Around that time the town had been known as “Cottonton”, and then “West Point”. 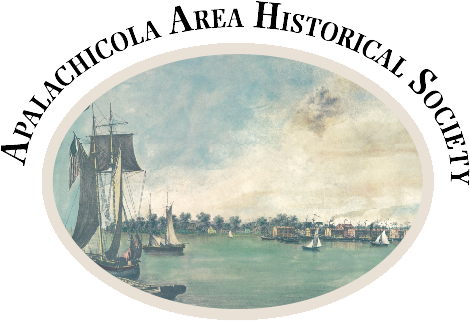 In 1831 it was incorporated as Apalachicola. He was also partially responsible for founding nearby Saint Joseph, after the Apalachicola Land Company obtained clear title to the Forbes Purchase in 1835, which included the city of Apalachicola. An encore character is prominent African American Mary Fuller, who with her husband owned and ran the Fuller Hotel during the reconstruction period. One unusual grave includes the deceased name in an ornate fence surrounding her grave. Come Join Us, starting at 6:30PM, Saturday May 5, at the Chestnut Street Cemetery, Ave E (or Hwy 98) between 6th and 8th Streets.